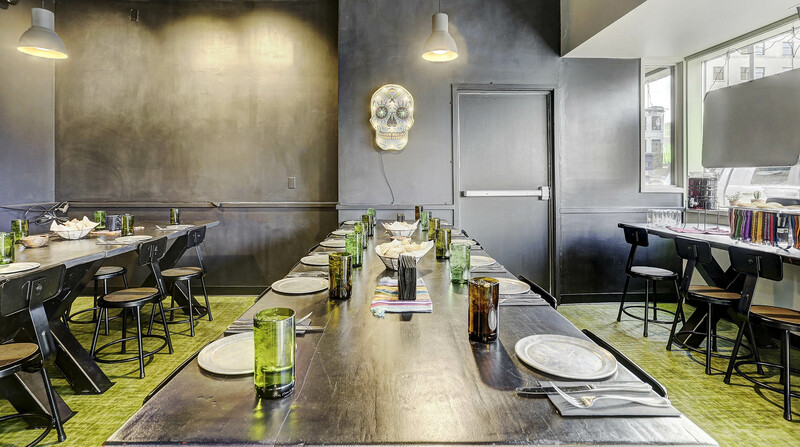 Unique to downtown Boise, The Verde Room is attached to the Calle 75 Restaurant/Bar and accommodates groups up to 35 guests. The Verde Room is ideal for Social Functions, Business Lunches, Birthdays and private events of any kind. Menu, Table Layout and Room Configuration can be customized specifically upon request.